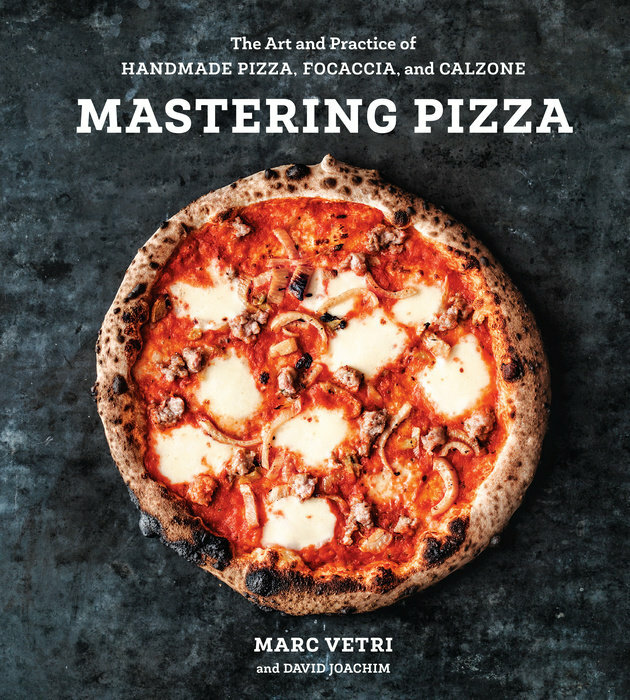 Mastering Pizza: The Art and Practice of Handmade Pizza, Focaccia, and Calzone, written by Marc Vetri and David Joachim, features traditional and innovative pizza recipes using a variety of cooking methods for full customization. Highlights include Wood Oven Crème Brûlée Pizza, Fried Mini-Calzones, Lombardo (Fennel Sausage, Bitto Cheese, and Sunnyside-Up Egg), Cavolo Rotolo (Kale, Mozzarella, and Ricotta), Home Oven Nutella-Stuffed Pizza, and Patata Pesto (Potato and Basil Pesto). 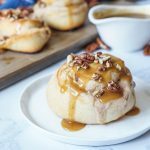 I will also be sharing their recipe for Home Oven Dolci Rotolo following the review. Disclosure: I received a copy of this book from Ten Speed Press in exchange for my honest review. All comments and opinions are my own. This post contains Amazon affiliate links. If you purchase something through the link, I may receive a small commission at no extra charge to you. Marc Vetri classically trained in Bergamo, Italy and is now the chef/founder of Philadelphia’s Vetri Cucina, Osteria, Amis, and Pizzeria Vetri (with several locations in Philadelphia and Washington, DC). He is also the author of Il Viaggio di Vetri, Rustic Italian Food, and Mastering Pasta. David Joachim has authored, collaborated, or edited over forty cookbooks. He is also the co-founder of Chef Salt, a line of artisanal salt and seasonings; writes the Food Science column for Fine Cooking magazine; and has appeared in USA Today, Men’s Health, Better Homes & Gardens, Cooking Light, Women’s Health, Cook’s Illustrated, and Bicycling. The chapters are divided according to the following: Baking at Sbanco, Grain at Pepe in Grani, Dough at Bonci, Pizza Dough Recipes, Naples Dough Pizzas, Roman Dough Pizzas, Pizza al Taglio, Calzones and Rotolos, Focaccia, and Dessert. There is also a Recipe List at the beginning of the book with page numbers for easy reference. Mastering Pizza has been set up for total customization. Among the pages are almost twenty different pizza and focaccia dough recipes with dozens of variations and over forty different toppings and fillings. Vetri states, “My promise in this book is that I will help you make better pizza in whatever oven you have with whatever dough you want.” The dough is explained every step of the way, ingredient by ingredient and cooking method by cooking method, so you learn the complete process. I especially enjoyed the personal stories of their experiences at pizzerias such as Sbanco (he was introduced to Stefano Callegari by Katie Parla-author of Tasting Rome), Pepe in Grani, and Gabriele Bonci’s Pizzarium. The photography is provided by Ed Anderson. Most of the recipes are accompanied by at least one full-page photo of the finished pizza. There are also plenty of step-by-step photos for guidance. Measurements are listed in US Customary and Metric. Headnotes include personal stories, tips, serving size, additional options. This book is a great pick for those interested in making pizza at home, whether you are a beginner who has never handled dough before or want to take your skills to the next level. All of the recipes I tried were among the best pizzas I have ever made (though I am definitely far from an expert with uneven results in the past). You will find recipes that will work for any cooking method from the home oven and wood oven to the grill (kamado-style and charcoal) and even the cast iron pan. The ingredients are generally readily available in the average American grocery store. A few that may be difficult to find for some or require an Italian market include specialty flours, Taleggio cheese, pancetta, Calabrian chiles, shishito peppers, speck, stracciatella cheese, buffalo mozzarella, and baby octopus. The Rotolo is a Pizzeria Vetri original. I made two of the many filling options, one savory (see in other dishes below) and one sweet- the Home Oven Dolci Rotolo. 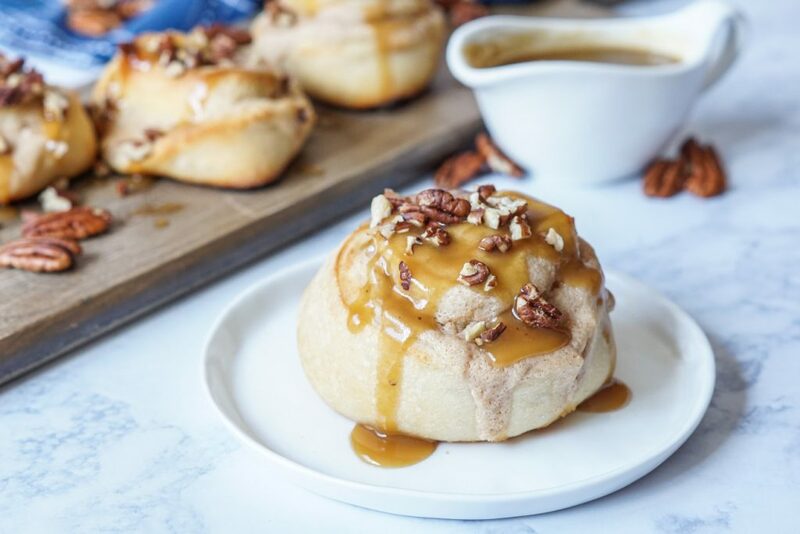 This rolled pizza is filled with a creamy ricotta impastata cinnamon filling, baked until golden, and topped with a creamy caramel sauce and toasted pecans. The dough preparation takes some planning ahead with three days to form, but there is only 20 minutes of hands-on work. The included recipe makes enough for 6 dough balls, but only 3 are needed to make the Home Oven Dolci Rotolo. I used the remaining three for the mushroom rotolo. The dough can be frozen for up to a month in an airtight zipper-lock bag. Thaw in the refrigerator and allow to warm at room temperature for 1-3 hours before using. The tip on substituting ricotta impastata is particularly helpful. If you are unable to find ricotta impastata, it can be swapped with regular ricotta and blended in the blender with the cream, sugar, and cinnamon to get rid of that grainy texture. The resulting filling will be smooth and creamy. These rotolos can also be made mini in size by rolling out the dough and cutting the rectangle in half lengthwise to make 2 smaller rectangles before continuing with the instructions. I also made the Maurizio (Mozzarella, Parmigiano-Reggiano, Rosemary, and Sea Salt), Crudo (Prosciutto, Buffalo Mozzarella, and Parmigiano-Reggiano), Cacio e Pepe (Pecorino Cheese and Black Pepper), and Funghi Rotolo (Mushrooms, Rosemary, and Fontina Cheese). I tried the Maurizio since I happened to have all the ingredients on hand and it came together so easily. The shaped pizza dough is topped with a scattering of torn mozzarella cheese, grated Parmigiano-Reggiano, fresh rosemary leaves, olive oil, salt, and pepper. The Crudo was Chad’s favorite. After adding mozzarella and Parmigiano to the dough, the pizza is cooked before topping with torn buffalo mozzarella and paper-thin slices of Prosciutto di Parma. This pizza can be made even richer with thin slices of lardo instead of the prosciutto. The technique for the Cacio e Pepe pizza was discovered while the authors spent time with Stefano Callegari at Sbanco in Rome. It is such an interesting way to prepare pizza and “truly stretched the parameters of the age-old question: tradition or innovation? This pizza perfectly married the two by juxtaposing a classic Roman pasta dish with a classic Neapolitan pizza.” The raw dough is shaped and topped with ice before transferring to the oven. The ice melts as the dough cooks and mixes with the starch to create the perfect base for adding the pecorino cheese to form the creamy sauce. It is then finished with a sprinkling of ground black pepper and drizzle of olive oil. I made the Funghi Rotolo as a way to use up the other half of the dough from the Home Oven Dolci Rotolo. Slices mushrooms are roasted with rosemary, garlic, and olive oil before rolling in the dough with shredded fontina and mozzarella cheese. The roll is cut into slices, proofed further on the baking sheet, and baked until golden. The rotolo can also be baked in jumbo muffin tins for a more compact appearance. Day 1: For the starter, mix everything together in the bowl of an electric mixer, crumbling in the yeast if it's fresh or sprinkling the dry yeast over the water. Mix just long enough to make sure all the flour is wet. The starter will be wet and sticky. Cover tightly with plastic wrap and let rest at room temperature (about 70˚F/21˚C) for 24 hours. Day 2: For the dough, pour the water into a small bowl, crumble in the yeast, and whisk them together until no lumps remain; or, if using dry yeast, you can just sprinkle the yeast over the starter. To Mix and Knead: Add the water (or water/yeast mixture) to the starter and then add the flour and then the salt. Attach the dough hook and mix on low speed until the dough comes together, about 1 minute. This dough will be fairly stiff during mixing and kneading in the mixer. If your mixer is less than 600 watts, remove half of the dough and mix it in 2 batches to avoid burning out your mixer motor. Recombine the dough at the end of mixing both batches. Either way, mix and knead each batch of dough in the mixer on low speed for 7 minutes. Then switch to medium-low speed and mix for another 4 minutes. The dough should look smoother and feel somewhat resilient when poked. To ferment: Cover tightly and let the dough ferment in the refrigerator until it proofs and almost doubles in size, at least 2 hours or up to 24 hours for more flavor. You could also let the dough ferment at room temperature for 5 to 6 hours if you're pressed for time. To ball up and ferment again: When finished fermenting, divide the dough into 6 equal pieces, about 250 grams (8.8 oz) each. Make a tight ball out of each piece using your dry hands and a dry work surface: pick up a piece of dough and make the smooth side the top, tucking the rough bottom side into itself to swell up the top. It's like stuffing a sock into itself. When all the loose dough is tucked into a ball, firmly squeeze the ball near the bottom to get out any big air pockets. The top should swell up like a balloon and be smooth like a baby's bottom. Gently roll the bottom under your palm on a dry work surface, using a circular motion to close the bottom and smooth it out. Ideally, the dough ball will be tight and smooth all over. Place the dough balls evenly in a proofing box or on a wide tray, making sure they are separated and not touching. I don't dust them with flour. They get plenty of flour when you shape them. Cover tightly and refrigerate for 24 hours. Or leave at room temperature for up to 12 hours. For the dough and filling: Let the dough warm up at room temperature for at least 1 hour or up to 4 hours. As it warms up, the dough will relax and become easier to shape. Meanwhile, mix together the ricotta, sugar, cream, and cinnamon in a medium bowl. Cover and refrigerate until ready to use, up to 6 hours. To shape the dough: The goal is to stretch the dough to a rectangle about 18 inches long by 13 inches wide (45 by 33 cm) with an even thickness across the middle and no rim at the edge. Flour a work surface and lay the dough balls end to end in a horizontal line in front of you. Gently flatten and pinch the ends of the dough together to make 1 bigger piece of dough. Dust the top with flour and then press the dough with your palms and fingers, stretching outward to shape the dough into a large rectangle that roughly matches the dimensions of a half-sheet pan (18 by 13 inches/45 by 33 cm). If the dough is stiff, you can also pick up the edges of the dough to stretch it outward, or use a rolling pin. As you work, loosen the dough from the work surface with a bench knife and reflour the work surface as necessary. You don't want the dough to stick. When the dough is an even thickness of about 1/2 inch (1.3 cm), square up the edges with your hands to make a nice rectangle. Spread the ricotta filling in an even layer all the way to the edges of the dough. Fold the short sides of the dough rectangle over the filling, about 1/2 inch (1.3 cm). Then starting at the long side (nearest you), begin rolling the dough over the filling into a tight roll, enclosing the filling in a spiral. The sides will want to spread as you roll. Try to keep the roll tight,. When fully rolled, compress gently around the roll with your palms to make it nice and compact. Cut the roll crosswise into 12 pieces, each 1 1/2 to 2 inches (3 to 5 cm) wide. Lightly oil a half-sheet pan (18 by 13 inches/45 by 33 cm). Place the retools, cut side up, on the baking sheet, reshaping them as necessary so each is a nice, stable spiral. Cover and let stand at room temperature until puffy and almost doubled in size, about 1 hour. Preheat the oven to 450˚F (232˚C) and place a baking stone or steel on the middle rack. Let the oven preheat for at least 45 minutes. To bake the rotolos: Bake the rotolos until puffed and golden brown, 15 to 20 minutes, rotating the pan once or twice for even cooking. Remove the entire pan from the oven, let cool for a minute, and then use a metal spatula to transfer the retools to a platter or plates. These rotolos may spread a bit, which is fine. Each one will have its own unique character. For the topping: While the rotolos bake, combine the brown sugar, cream, and butter in a small saucepan. Heat over low heat until everything is melted and smooth, stirring occasionally, 10 to 15 minutes. Spoon the sauce over the rotolos and top with the pecans. I need this book! I can never quite get my pizza to turn out the way I like. Great recipe too! Now that’s a book worth buying! 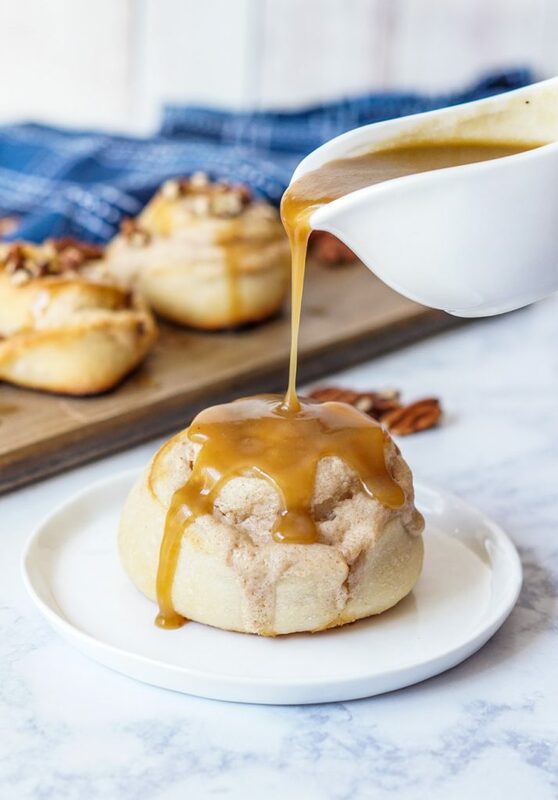 Love meals with homemade dough and this one on your page is gorgeous. Thanks for sharing! These look absolutely amazing! Thanks for sharing. 🙂 I’ll have to give them a try. I really need to up my pizza game. I’m intrigued by this cookbook – I may just get a copy for xmas 😉 Love homemade doughs, but I don’t have much experience making them. Wow, it looks like that book really inspired you. 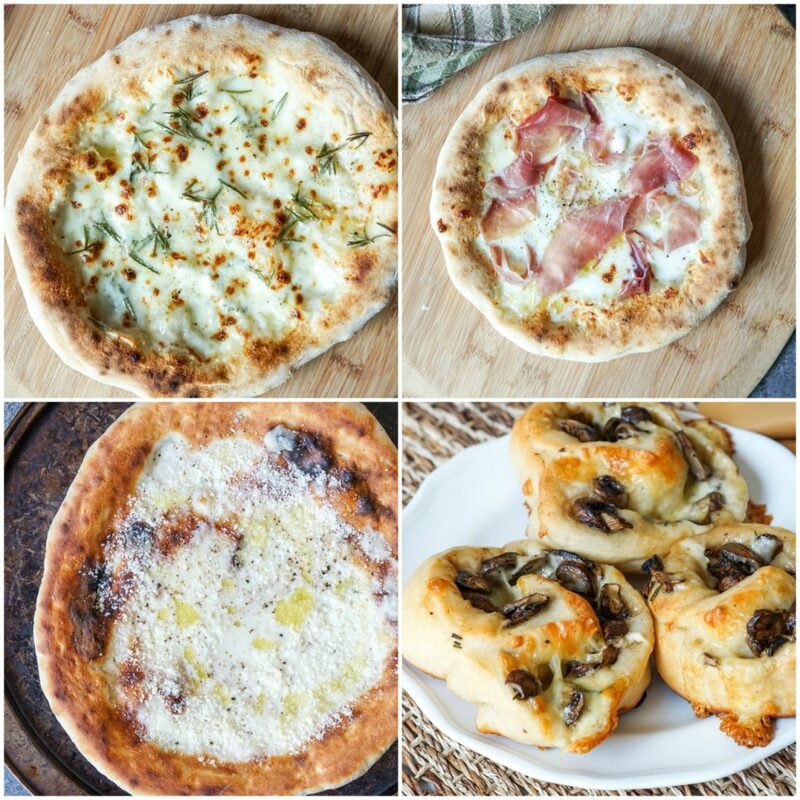 I love Italian cooking and seeing all these wonderful doughs and creations really made me hungry. This book would make a wonderful Christmas gift. 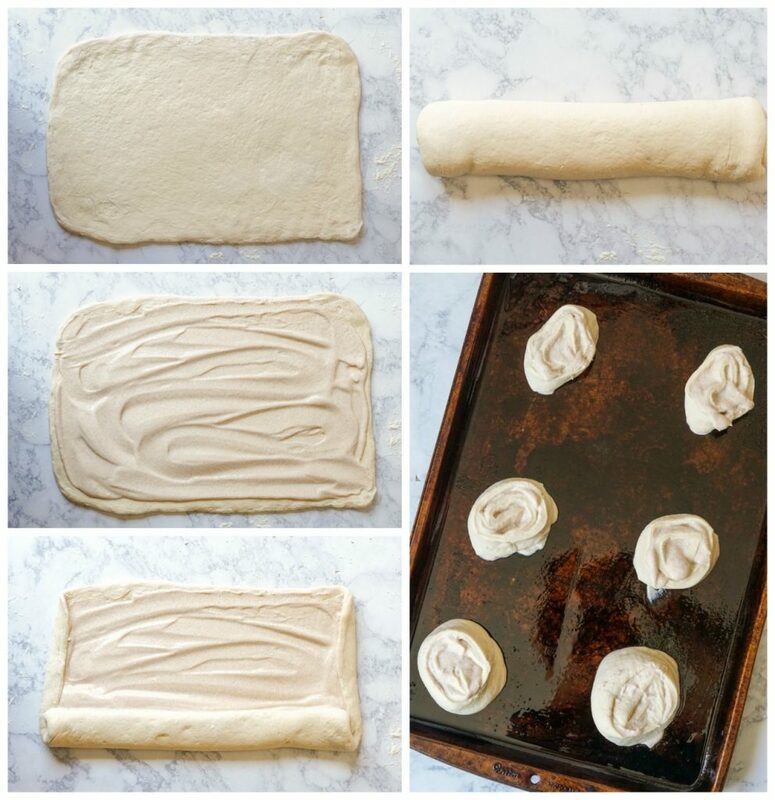 Wow….I love how versatile this dough is. Great review on the book….I’m heading over to amazon next to order it. That dessert looks amazing and it will be first up on the list to make.